Paste your HTML-Code in the “Form HTML Code” text area and click “Save”. 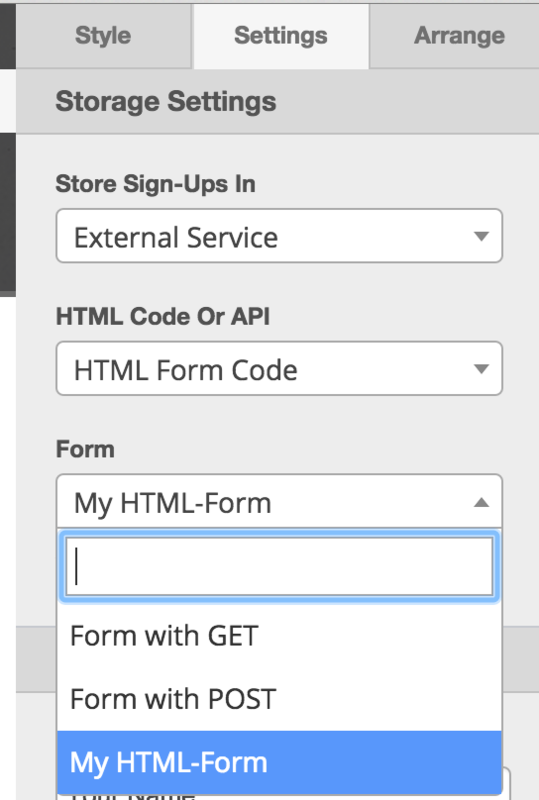 That’s all, your form code is now integrated with the form. After pasting the code, you may need to adjust the form’s settings such as the « name » field and the « email » field if the system doesn’t detect them. Please note that each autoresponder has a different method of getting the HTML code of the opt-in form. Please refer to your provider’s knowledge base or support channels for more info. HTML integration i not currently available for ‘Share’ campaigns. If you are using an autoresponder that we don’t currently support via direct API integration, then you will need to use our Zapier integration for this.